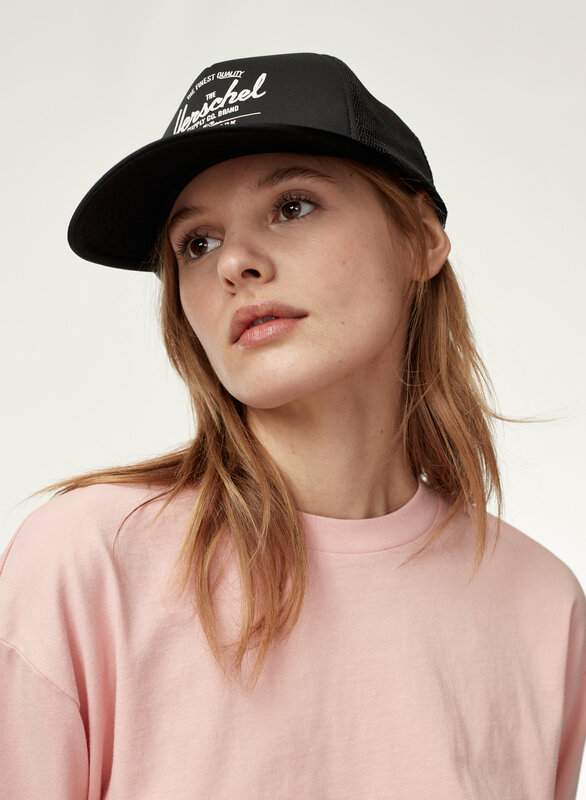 Styled with agden t-shirt . 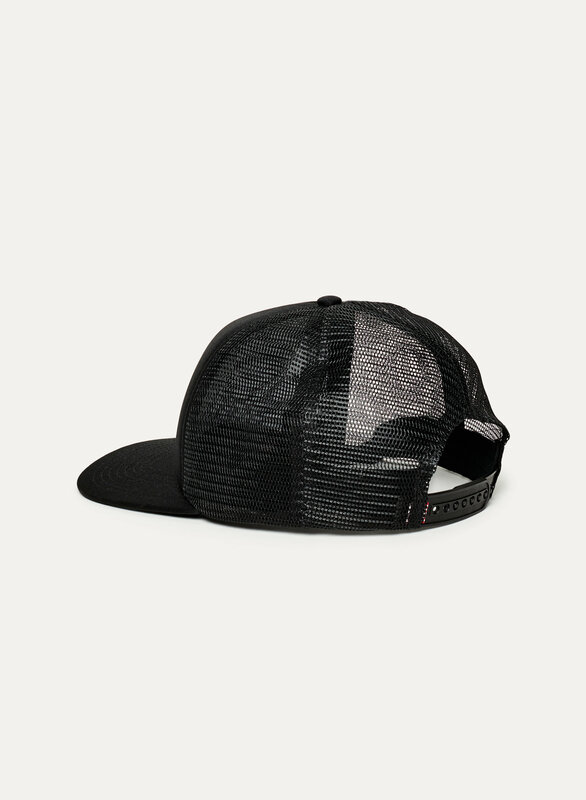 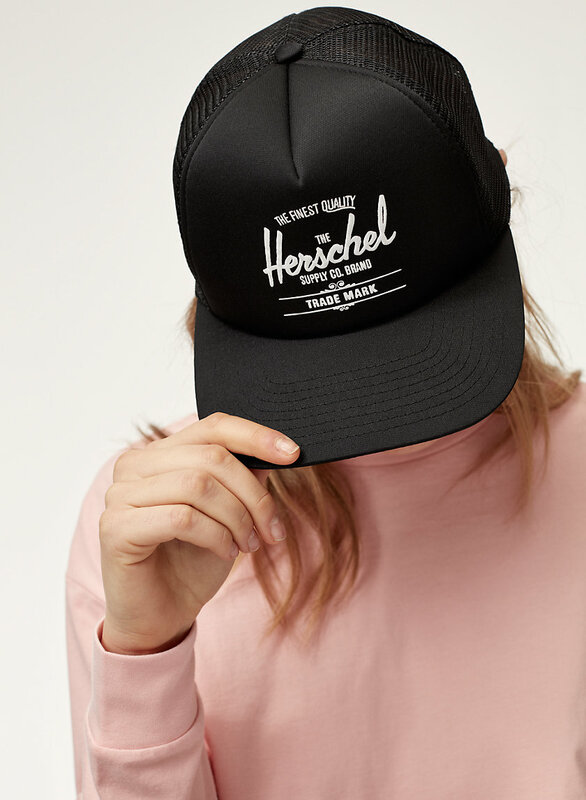 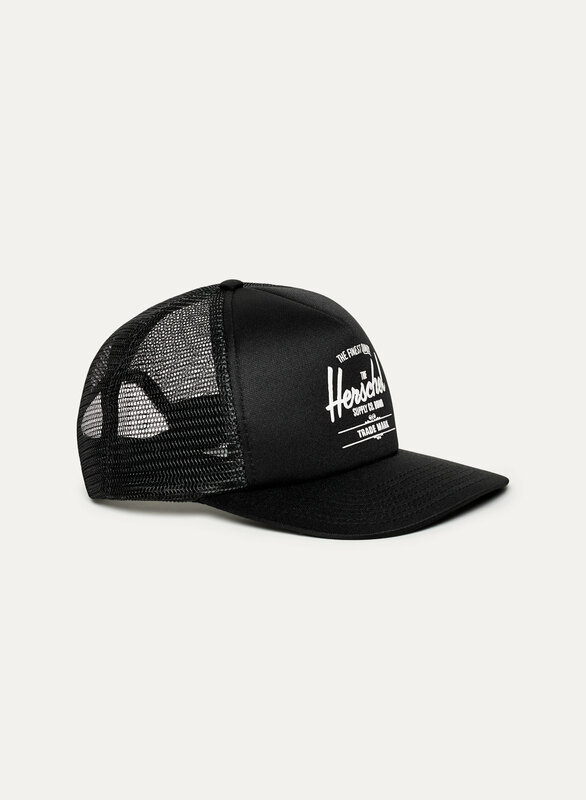 This soft-brim Aritzia x Herschel cap features a snapback adjuster and a five-panel crown that's completely foldable (i.e. 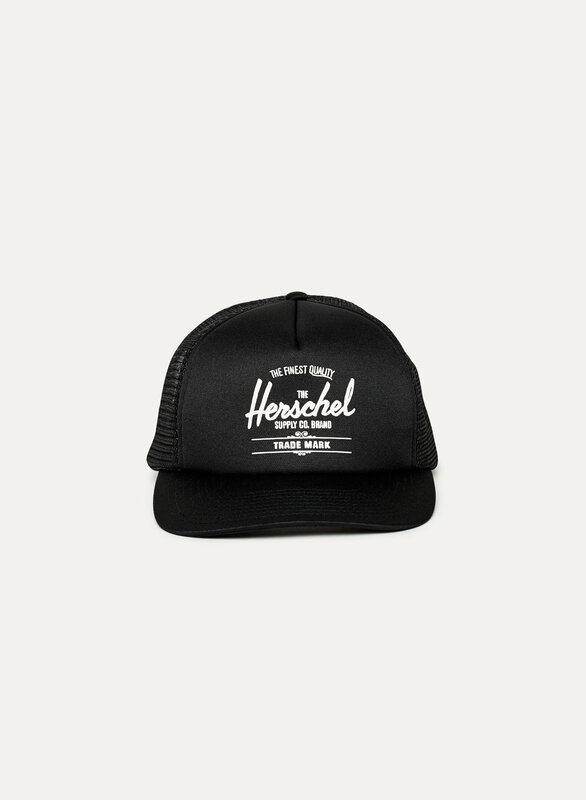 travel-friendly). 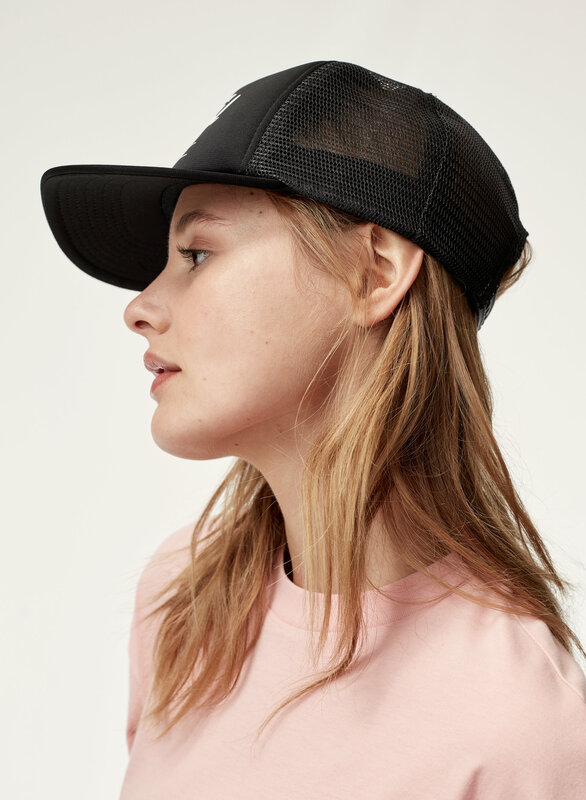 The peach colour is exclusive to Aritzia.